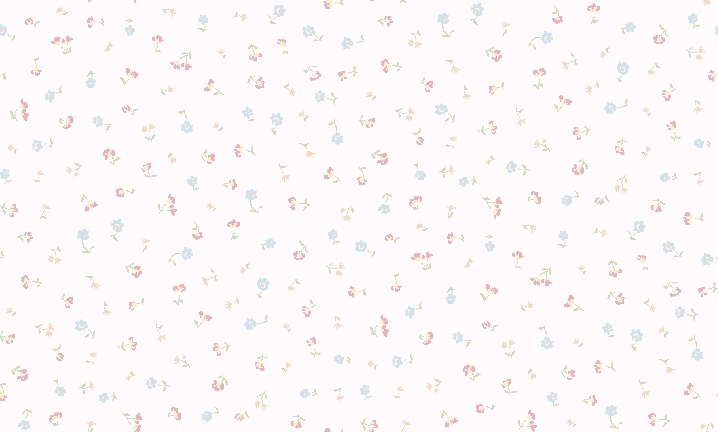 The following is a list of star bios located in this sticky. Please do not respond to this index section. If you have any questions or requests, please feel free to send me an email. Responding to this list will only duplicate it and make it more difficult to edit if additions are made. Names are alphabetical within each page.If you need info on someone not listed, feel free to let me know. I love doing it! Note: Marcus Chong's bio has been moved to page 19 to make room for this index. Current Number of Star Bios: 576- PAGES ARE APPROXIMATE. Sources: Internet Movie Database, Wikipedia, Obits. Page 13: Phillip Abbott, Sorrell Booke, Todd Bridges, Joshua Bryant, Charles Cyphers, David Downing, Bill Ewing, Ivor Francis, Gill Gerard, Bob Marsic, Maidie Norman, Patricia Pearcy, JS "Joe" Young. He was a cutie. Loved how he reached for Mrs. Olesons hand toward the end. One of her rare "normal" moments. I have no idea who is famous son is. Chris Petersen was born in 1963. He gave Laura her first kiss in “The Rivals” and that was the only episode he appeared in. He is the older brother of Pat Petersen who starred in Knotts Landing as Michael Fairgate. 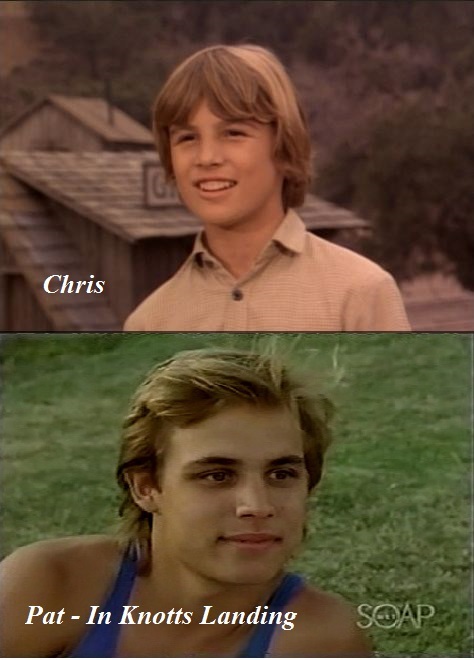 They both appeared in the movie “Karate Kids USA” in 1980. His last role as an actor was in 1980 on “Mash” titled “The Second Recruit”. Cool. I remember Michael Fairgate. They look alot alike. Rance Howard was born Harold Rance Beckenholdt in Duncan, Oklahoma in November of 1928, the the son of Ethel Cleo (née Tomlin) and Engel Beckenholdt, a farmer. 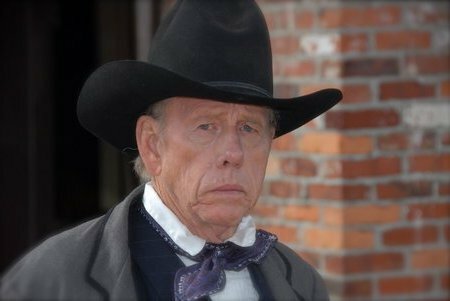 He changed his name to "Rance Howard" when he became an actor. [He married actress Jean Speegle Howard in Burbank, California in 1949. Their sons are actor/director Ron Howard and actor Clint Howard. He is also the grandfather of actress Bryce Dallas Howard. His son Ron was born while he served three years in the United States Air Force. Howard was known for his role on television in the 1960s TV series Gentle Ben as Henry Broomhauer. Another well-known TV role was on Babylon 5 in which he had a recurring role as David Sheridan, the father of Babylon 5 captain John Sheridan. He also starred in the short-lived 2000 TV series Driving Me Crazy. His television guest appearances include The Andy Griffith Show, The Monroes, Kung Fu, The Waltons, CBS Schoolbreak Special 1986 episode The Drug Knot, Babylon 5, Angel, 7th Heaven, Cold Case, That's So Raven, and two appearances on Seinfeld, both as different characters. 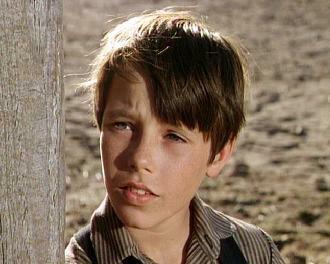 Howard has acted in over 100 films, including his first film in 1956 called Frontier Woman, the 1967 movie Cool Hand Luke, The Music Man (in an uncredited bit-part playing "Oscar Jackson"), and many other films. He often takes parts as a priest or reverend, county sheriff or western marshal and has made numerous appearances in films by Joe Dante. Howard has acted in many of his son Ron's films, with the exception of Night Shift, Willow, Backdraft, Ransom, EDtv and The Da Vinci Code. He also appeared as Dottie and Kit's father in A League of Their Own. Update: Rance died in Los Angeles on November 25th, 2017 at the age of 89.
went on to play Bud Bundy in MARRIED WITH CHILDREN. He has two older brothers, Michael Faustino and Jeff Leiber. Both of whom are actors. That episode was so heartbreaking....I would have taken those boys in a heartbeat! Steve Shaw was born in June of 1965 in St. Louis, Missouri. He was an American actor best known for playing Eric Fairgate in the television drama Knots Landing. 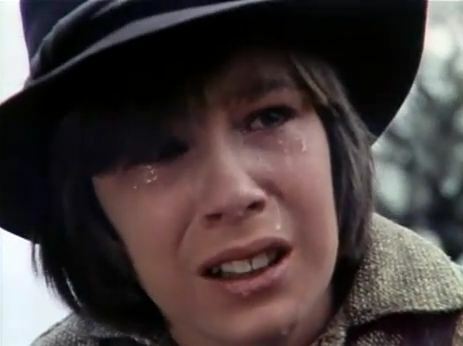 One of his earliest acting appearances was a Season 5 episode of Little House on the Prairie entitled "The Odyssey" in which he played a character named Dylan who has been diagnosed with terminal leukemia and wishes to see the Pacific Ocean before he dies. Shaw appeared regularly in Knots Landing from 1979 to 1987, and thereafter made occasional return appearances. He died in a head on collision on December 5, 1990, in Los Angeles. He was 25. Clay Greenbush was born in 1968. He is the older brother of Lindsay and Sidney Greenbush. 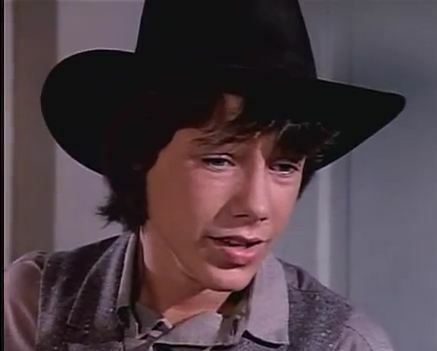 He played a school kid in nine episodes of Little House from 1974 through 1981. He also guest starred in The Division, Women,The Practice,Jag and Melrose Place in 1996. Ronnie Scribner was born in 1968. 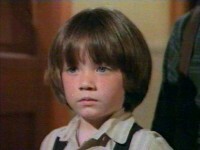 He appeared in two Little House Episodes. in Blind Mans Bluff as a blind girl at the Blind School of Mary's. 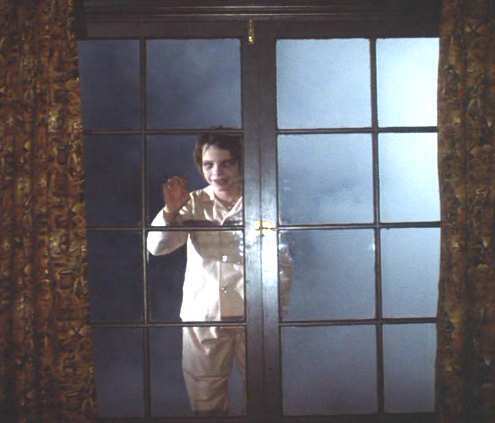 BEST KNOWN FOR HIS ROLE AS RALPHIE GLICK IN "SALEMS LOT"
His last screen appearance was in "RAGE". After that he simply disappeared from the acting scene. Is now a consumer credit manager in Denver, Colorado. 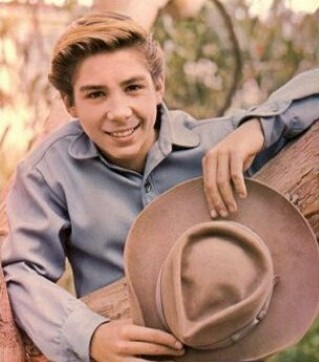 Born on March 26th of 1946,Johnny Crawford, best known for his role as Mark in the Rifleman. 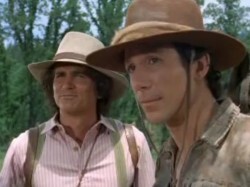 He played Ben Shelby in "The Hunters" on Little House in 1976. He was an original Mousketeer on Walt Disney's Mickey Mouse Club. Nominated for an Emmy award for his role in the Rifleman. Currently tours the country with his band. I did not know Steve Shaw had passed away. So sad. I loved him on LH and Knotts Landing. Ronnie Scribner....I had not made the connection of the two episodes as being the same boy. He sure changed between the two! 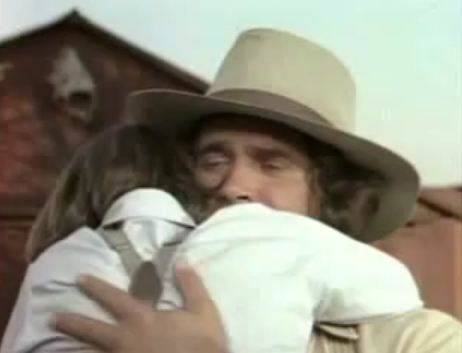 I'm going to have to get the Rifleman.... Mike Landon sure knew ALOT of people! Bobby Rolofson was born in 1968.He played THOMAS HARPER WITH KYLE RICHARDS PLAYING HIS SISTER in SOMEONE PLEASE LOVE ME in 1979. He appeared in over 13 television shows including CHIPS and LOU GRANT. His career in film lasted for two years 1978 - 1980. He died in a motorcyle accident on his 16th birthday in 1984. 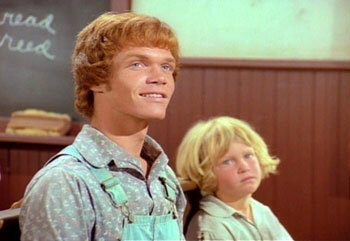 His last words on Little House were" I LOVE YOU MR. INGALLS". Bobby with Kyle In "Someone Please Love Me"
All these little facts amazed me...You did a GREAT work, Dave! 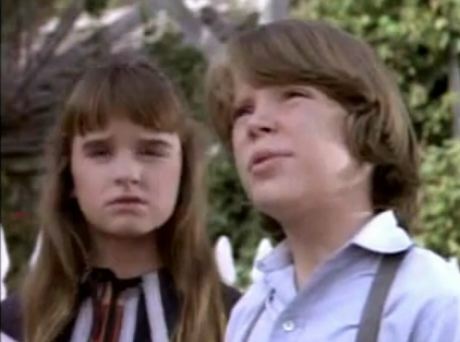 You know a lot about "Little House" guest stars!